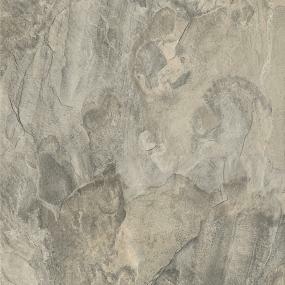 Vinyl flooring has evolved from the sheet vinyl in the kitchens of our youth. It’s come such a long way, in fact, that homeowners may not even recognize it. It’s time to give this versatile flooring option a second look. Here’s why. Luxury vinyl tile (LVT) is made to mimic the look of stone or ceramic tile, while luxury vinyl planks (LVP) are created to look like hardwood. The difference is that many homeowners want ceramic tile or hardwood in areas of the home that are most prone to water, such as the kitchen or bathroom. What LVT and LVP afford is the ability to get the desired look without worrying about the potential pitfalls of its location. When it was first introduced, vinyl was relegated to less visible rooms such as a basement laundry room. Today, it’s used throughout the home. Flooring is the foundation of design, and many homeowners want to use one type of flooring as a cohesive design element throughout their home. While hardwood might not make the cut in a bathroom or laundry room, luxury vinyl planks can work throughout the home, creating a beautiful design element that brings every room together. Pro Tip: Look for an LVP or LVT that will complement every room in the home and look realistic enough to use in even the highest traffic areas. If there’s one aesthetic aspect homeowners seek, it’s individuality. Gone are the days of cookie-cutter designs. The ability to express a unique sense of style can be a deciding factor with choosing the products to put in a home. That’s why vinyl tiles and planks are the perfect flooring products—they can be installed in virtually any configuration. The individual tiles and planks can also be cut into a number of different shapes and patterns, which means this flooring offers endless opportunities to create a design as unique as you are. With vinyl, homeowners can have any style they desire, from rustic to modern. Cover a kitchen island in reclaimed barn wood to create a stunning centerpiece for a farmhouse-style kitchen. Greet visitors with wide plank, wood-look flooring in the entryway that opens into a bright, modern first floor living space. Or install Spanish tile-look, cut diagonally, in a four-season room that opens to a pool deck. Sophisticated designs mean homeowners can get the look of real wood planks throughout their entire home, without having to sacrifice style or function. Pro Tip: Think outside the flooring for ways to uniquely use LVP and LVT, adding texture and style. LVT and LVP look so realistic that they can fool even the most discerning eye. Today’s LVT looks so much like the real thing that even their surface texture feels authentic. 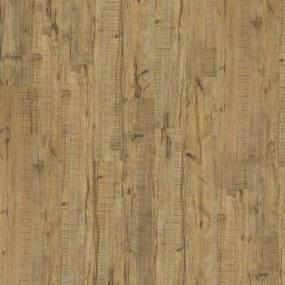 LVP has the traits of real wood planks and comes in a wide variety of colors and species. 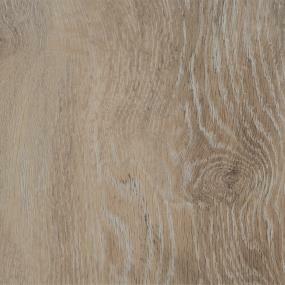 Its surface design can even mimic the scraping or embossing associated with hardwood, which only increases its realism. It can also be installed in different ways just like real hardwood, for an authentic, stunning aesthetic. Still, homeowners may wonder: why choose something that pretends to be ceramic tile if I can have the real thing in rooms that aren’t prone to water? It’s a fair question, and the answer lies not in the design, but what’s underneath it. Ceramic tile is beautiful, but it’s also cold and hard. LVT has a thicker backing which makes it softer to stand on and quieter to walk on. Pro Tip: The thickness of LVT and LVP is measured in millimeters. Generally, the thicker the better. Those with a top layer under 20 millimeters should only be used in light traffic areas. Anything over that tends to be ideal and will provide long-lasting performance. Luxury vinyl is both strong and durable. Homeowners won’t cringe when the soccer team races into the kitchen for a post-game snack or the dog goes tearing after the neighbor’s cat. These sturdy floors retain their shape, even with natural wear and tear, and it’s waterproof, making it the perfect solution for busy families who want affordable, worry-free flooring that looks as good as it performs. A tough, polyurethane finish makes these floors easy to maintain, avoiding the need to be refinished or polished. Vinyl tiles with a urethane or polyurethane top layer protect flooring from the most assaulting scratches and offending stains. Arguably, the best thing about luxury vinyl is that it’s so easy to care for. Keeping it clean is simply a matter of running the broom or vacuum across it, followed by an occasional damp mop. It’s also typically made from (and could potentially become) recycled material, so it’s easier on the environment too. Pro tip: Most reputable luxury vinyl flooring is certified for low VOC emissions for safer indoor air quality. Check with the manufacturer to determine whether the LVT or LVP you choose meets these guidelines. LVT and LVP have become popular among designers and homeowners alike. But they aren’t the only options available. Sheet vinyl is still being made, and installed in homes and businesses across the country. Although it’s not as realistic or durable as its luxury counterparts, it is inexpensive and has some practical uses, especially in the commercial space. Whatever your preference, when it comes time for your flooring choice, consider the beauty, durability, and versatility of vinyl.